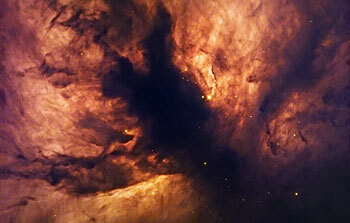 5 October 2009: Sparkling at the edge of a giant cloud of gas and dust, the Flame Nebula, also referred to as NGC 2024, is in fact the hideout of a cluster of young, blue, massive stars, whose light sets the gas ablaze. 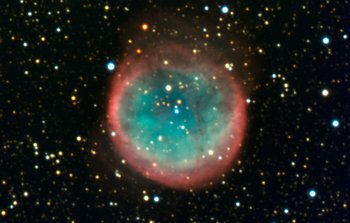 Located 1,300 light-years away towards the constellation of Orion, the nebula owes its typical colour to the glow of hydrogen atoms, heated by the stars. 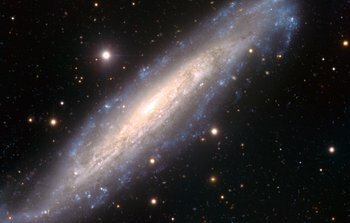 The latter are obscured by a dark, forked dusty structure in the centre of the image and are only revealed by infrared observations. 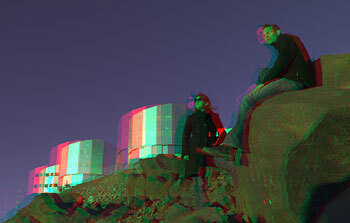 This image is based on data acquired with the 1.5-metre Danish telescope at ESO’s La Silla Observatory in Chile, combining three exposures in the filters B (40 seconds), V (80 seconds) and R (40 seconds). 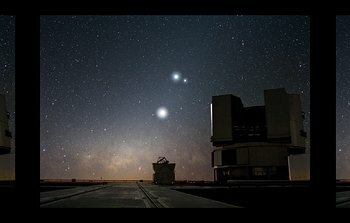 28 September 2009: Through three giant images, the GigaGalaxy Zoom project reveals the full sky as it appears with the unaided eye from one of the darkest deserts on Earth, then zooms in on a rich region of the Milky Way using an amateur telescope, and finally uses the power of a professional telescope to reveal the details of a famous nebula. 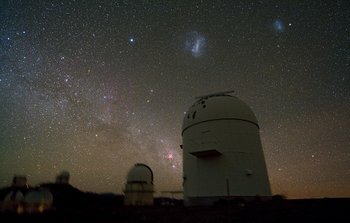 In this way, the project links the sky we can all see with the deep, “hidden” cosmos that astronomers study on a daily basis and allows the viewers to take a breathtaking dive into our Milky Way. 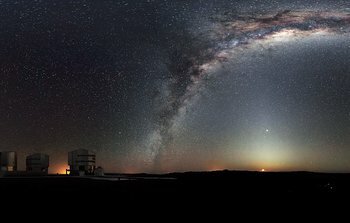 The wonderful quality of the images is a testament to the splendour of the night sky at ESO’s sites in Chile, which are the most productive astronomical observatories in the world. 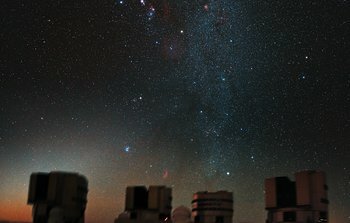 21 September 2009: Cerro Paranal, in the Chilean Atacama Desert, is considered one of the best astronomical observing sites in the world. 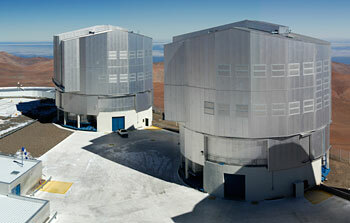 It is home to ESO’s Very Large Telescope (VLT), the flagship facility for European ground-based astronomy. 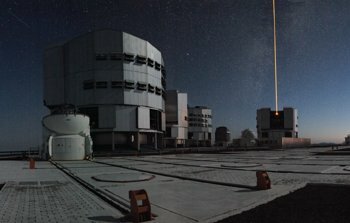 The humidity at Paranal is generally below five percent and the overall precipitation is only 4 mm per year — a rather dry place indeed. 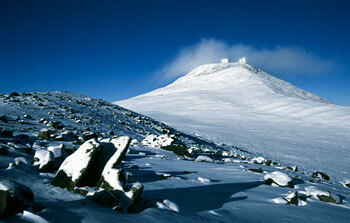 It does, on very rare occasions, snow on this 2600-metre-high peak as illustrated by this beautiful image taken in 2002. 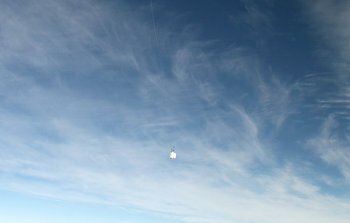 The snow-covered terrain gleams under a bright blue sky as the snow storm passes. 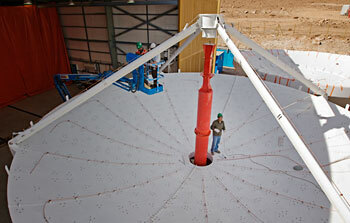 7 September 2009: In this photograph taken on 18 August 2009, a European ALMA antenna takes shape at the observatory's Operations Support Facility (OSF). 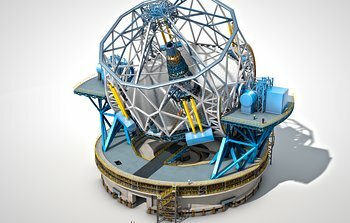 ALMA, the Atacama Large Millimeter/submillimeter Array, is a revolutionary astronomical telescope, comprising an array of 66 giant 12-metre and 7-metre diameter antennas observing at millimetre and submillimetre wavelengths. 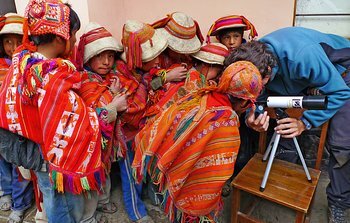 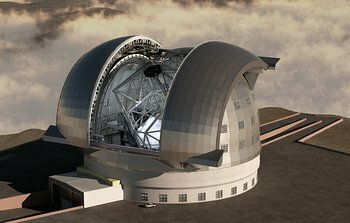 The telescope is being built on the breathtaking location of the Chajnantor plateau, at 5000 metres altitude in the Chilean Andes. 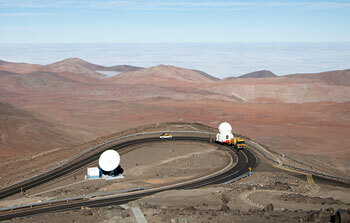 The OSF, at which the antennas are being assembled and tested, is at an altitude of 2900 metres. 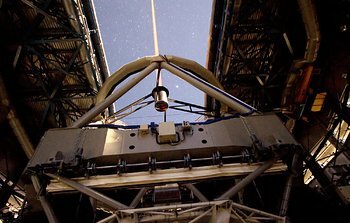 ESO has contracted with the AEM (Alcatel Alenia Space France, Alcatel Alenia Space Italy, European Industrial Engineering S.r.L., MT Aerospace) Consortium for the supply of 25 of the 12-metre diameter ALMA antennas, with options to increase the number to 32. 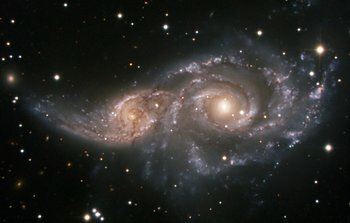 ALMA is a partnership of Europe, North America and East Asia in cooperation with the Republic of Chile.